Charles and Gerry, Trip to Italy, April 2006. 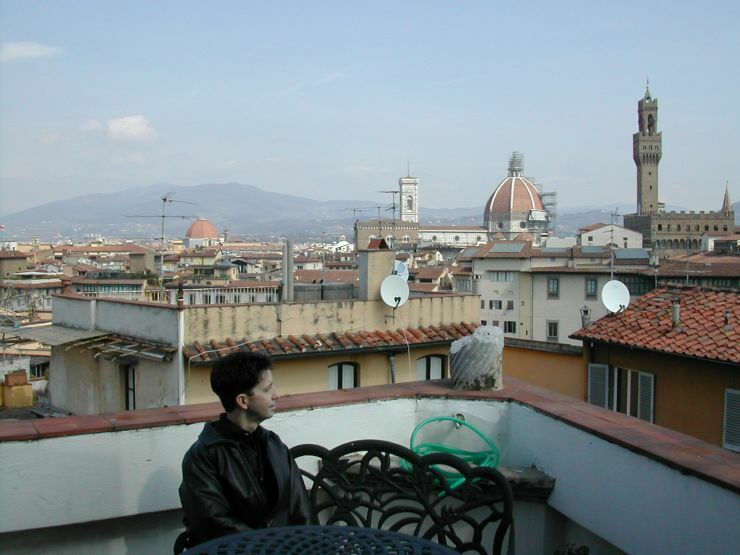 Gerry soaks up the view from one of three terraces at our Florence, Italy apartment. In the near distance, the Duomo (catholic cathedral), and to its right, the tower at Palazzo della Signoria.